Can you see the mortgage servicers’ conflict of interest that is killing the Florida and nationwide housing market? Why aren’t we seeing any legislation or rules addressing servicers’ inability and unwillingness to modify loans even when the modification is clearly in the best interest of the investor-owner of the mortgage? Florida foreclosure defense and bankruptcy attorneys see the conflict of interest daily between mortgage servicers and their own clients, why doesn’t the government? Servicers say they are doing their utmost to help homeowners in need. I say Pinocchio. Uncle Sam has proposed HAMP, HARP and a few other programs. However, the servicers just shrug and pretend to comply, while pocketing trial payments and huge servicing fees. It is a well known fact that servicers get paid much more when a loan is in default and eventually forecloses. Until we address the conflict of interest and incentivize servicers to modify loans, nothing will change. 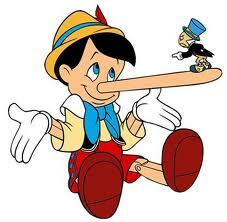 Pinocchio is running this show. In an interview on January 28, 2012, by CNN Your Bottom Line host Christine Romans, Chip Parker, a foreclosure defense attorney in Jacksonville, Florida states it’s definitely systematic. He describes how it’s a daily occurrence that a mortgage servicer such as Citi Mortgage or Wells Fargo will absolutely refuse to work with someone, even though a VA guideline requires it when the VA guarantees those loans. ROMANS: Would it be cheaper for them to work it out early instead of let it go as far as – I don’t understand why the banks wouldn’t be working very, very hard to make sure that this doesn’t happen so that they’re getting paid for a loan. They don’t have empty houses where, you know, guys knocking on the door to make sure someone is there, there aren’t people living in the garage. PARKER: Well, the explanation is very simple, actually. The servicer, the Citi Mortgages, the Wells Fargos, those guys don’t own these loans. They’re owned by investors. The servicers merely act in a self- — with their own self interest in mind. Again, why aren’t we focused on eliminating this conflict of interest?